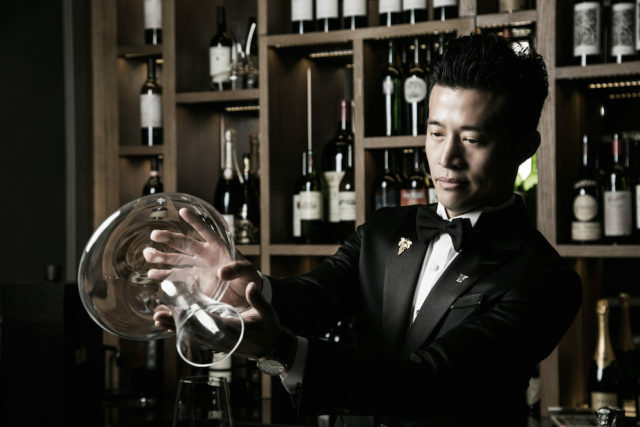 One of the world's top sommeliers, Lucas Jung took time out to chat to Drinks World about how he fell in love with wine and what he sees as trending in the wine world. Lucas Jung first fell in love with wine while studying hotel and restaurant management, where he developed an appreciation for beverages, cocktails and the industry. Finding his passion, Jung began studying wine with earnest at the Wine Academy in 2000. He moved quickly up the ranks, and was awarded the 2008 National Champion of the Year by Korea’s Best Sommelier Contest, and participated as the Korean representative at the 2010 World Sommelier Contest. Jung honed his craft after taking on the role of head sommelier at JW Marriott Seoul from 2003-2014. Staying within the company, he now works at JW Marriott Dongdaemun Square Seoul where he has been since 2015. JW Marriott has been instrumental in Jung’s career and aided him in training and support, as well as fostering career growth, “I have been gaining a lot of personal and career growth working at JW Marriott, Dongdaemun Square Seoul”, said Jung. If Jung hadn’t become a sommelier, he believes he would have studied liberal arts, and still loves picking up books on humanities. All that intrigue hasn’t been lost in being a sommelier, “Even now when I study the different wine regions I also spend a lot of time learning about their history, culture, and philosophy, which gives me a deeper appreciation of the wine itself”, says Jung. While Jung is one of the best sommeliers in the business, he has the utmost admiration for Korean-American Yoon Ha, who is currently Master Sommelier at California 3-star restaurant Benu. “I gained great admiration for him after watching him work diligently to educate up-and-coming sommeliers”, says Jung. Recently visiting Mondavi Winery in Napa Valley, California – the first winery to produce premium wines back in 1966, Jung was lucky enough to learn about the tradition of Robert Mondavi, from the top quality grape fields to the fermentation process. This trip helped him to further understand the whole process of producing premium wines first-hand. Back in Seoul, Jung tells us that the local wine drinkers enjoy a wide variety and recently there has been an increase in the market demand for Australian, Spanish and American wines in Korea. He also says that although Koreans are historically red wine drinkers “There has been a lot of growth in the consumption of sparkling and white wine in the last few years”.